Team AkzoNobel have added Martine Grael, the Brazilian sailing gold medallist from the 2016 Olympics in Rio, to their crew for the Volvo Ocean Race 2017-18. The 26-year-old is the daughter of race legend Torben Grael – Brazil’s most successful Olympic sailor of all-time, with five medals – and she will be joining an AkzoNobel squad that features three members of her father’s all-conquering Ericsson 4 team in 2008-09: British navigator Jules Salter, and watch leaders Brad Jackson from New Zealand and the Brazilian Joca Signorini. Together with Kahena Kunze, Grael clinched gold in the 49er FX class in Rio. She is the first Brazilian woman ever to take part in the Volvo Ocean Race, and in taking on the 45,000 nautical mile round-the-world challenge, she is making a massive step up – but it’s one she’s looking forward to. “Stepping up from the 49er FX to the Volvo Ocean Race with team AkzoNobel is a very exciting opportunity to expand my sailing skills and my fitness level,” Grael said. “My goal is to as quickly as possible get a good feel for the boat and understand the finesse required to produce the best performance. “This is a big journey for me but I’m hoping to enjoy the experience and learn a lot from it. Most of all I want to prove that I belong on this team and I can’t wait to start racing against other boats.” Team AkzoNobel is led by Simeon Tienpont and the Dutchman is delighted to add another huge sailing talent to his strong multinational crew. Grael will take part in Leg Zero – a mandatory series of four preliminary races for the seven competing Volvo Ocean Race teams prior to the race start on October 22 in Alicante, Spain. Leg Zero begins on August 2 with a sprint around England’s Isle of Wight, followed by the Rolex Fastnet Race on August 6-9 followed by a further two stages from Plymouth to St Malo and St Malo to Lisbon. The Volvo Ocean Race begins on 22 October from Alicante, Spain and will visit a total of 12 Host Cities around the world. Joan Vila, one of the best navigators in the world, will return to the Volvo Ocean Race with MAPFRE in 2017-18, some 15 years after becoming the first Spanish sailor to win the coveted trophy. 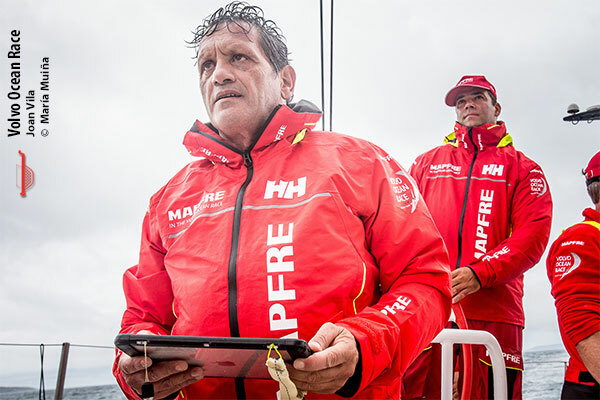 One of the most decorated sailors on the planet, Vila joins MAPFRE having last competed as part of a victorious Illbruck Challenge campaign in 2001-02. Since then, he has gone on to win three America’s Cups. He has also competed in the Olympic Games – and 2017-18 will mark his fifth Volvo Ocean Race appearance. Vila will link up with the Spanish team, skippered by Olympic champion Xabi Fernández, as navigator – responsible for ensuring the consistent best positioning of the boat to take maximum advantage of the wind and current, and getting the team from point to point as fast as possible. “This is the best crewed race than any offshore sailor can take part in, so you always keep an eye on it,” admitted Vila, as he joined up with MAPFRE at their team base in Sanxenxo, Spain. “Unfortunately the last few years I haven’t had a chance to take part, as it coincided with other projects, but I always wanted to. I’m delighted that the opportunity has appeared for me again now, and with a team like MAPFRE,” he added. Vila’s skills as navigator were highly sought-after, and he admits that he had the chance to appear on the start line wearing a different coloured shirt, but turned it down. 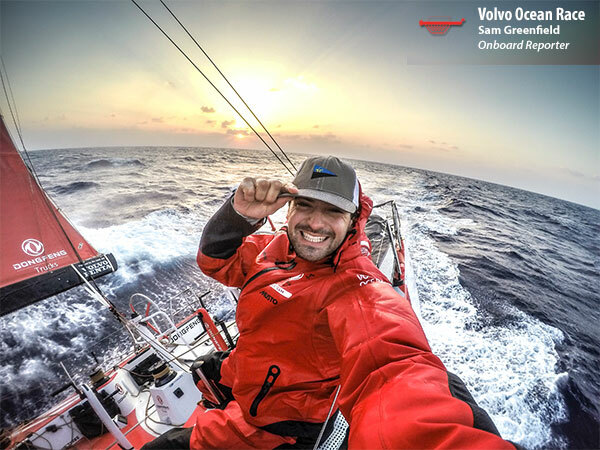 “I had conversations with another team as well as MAPFRE, but when I spoke to Xabi and the people involved in the team, I saw the chance to be part of an excellent crew, and didn’t hesitate.” Vila brings an undeniable amount of experience from other competitions, but a lot has changed in the Volvo Ocean Race sine he last took part in 2001-02 with German campaign Illbruck, and before that with Fortuna Extra Lights, Galicia-Pescanova and Chessie Racing. There have been huge developments in terms of meteorology and navigational technology, but also the boat itself – the One Design Volvo Ocean 65. Following his first sail with his new teammates in Sanxenxo, Vila commented: “what I noticed most was how well geared everything is, and how well it all works.” The announcement comes hot on the heels of MAPFRE's signing of another America's Cup champion, Kiwi Blair Tuke – and team CEO Pedro Campos expressed his delight at the way the squad is coming together. The fleet will depart Alicante, Spain on 22 October 2017 and race 45,000 nautical miles whilst taking in a further 10 stops around the planet including Lisbon, Cape Town, Melbourne, Hong Kong, Guangzhou, Auckland, Itajaí, Newport, Cardiff and Gothenburg, before a big finish in The Hague in summer 2018. Leg Zero not only takes care of the official qualifying for the Volvo Ocean Race – it’s also the first chance to see the teams in a competitive shakedown against each other. No points will be carried forward to the race itself, but the overall Leg Zero winner still gets a confidence boost – and here, round-the-world Vendée Globe sailor Conrad Colman fills us in on how it might play out. 6 August start: the famous Rolex Fastnet Race featuring some of the hottest yachting hardware on the planet in a 608 nm coastal race that has historically served up a hearty dose of danger – and a lot of stressed navigators. There are no other boats to act as a distraction on these last two legs, just the world’s strictest offshore One Design fleet and the clock ticking down to the start of the Volvo Ocean Race from Alicante, Spain on 22 October 2017. A 50-mile coastal race in early August for some of the best sailors in the world who are preparing to tackle the world’s longest racetrack in sport? Okay, let’s be honest – we’re not going to learn a lot here. There’s nothing much at stake and in terms of racing, it's tempting to say there’s nothing to see here… But then again, sandbanks, rocks and tides will make these 50 miles pretty challenging – and would you want to finish last out of the Volvo Ocean Race fleet? Now we’re talking. The Rolex Fastnet Race boasts the biggest offshore racing fleet in the sailing world and traditionally, it can go one of two ways. Either a late summer depression will rip across the Atlantic Ocean and chew through the fleet, as happened in the infamous 1979 edition, or boats will be forced to pick their way along the English coast, searching for any puff of wind while being pushed in circles by the tides. The series of bays and headlands along the southern coast of England make the first part of the course like sailing along the edge of a saw, where each point sticking down into the English Channel concentrates and accelerates the tide. This will give a welcome push to those that make it through on time, and punish those forced to fight against the flow. In the tight Volvo Ocean 65 fleet, rounding a headland just 10 minutes after a competitor might cost you an hour at the finish! Even though the Fastnet doesn’t count towards the points in the race around the world, MAPFRE skipper Xabi Fernández confirms that his team won’t get much sleep: “A 600-mile race like the Fastnet is not super relevant towards the real race but of course it’s always good to sail together as a crew. There will be plenty of manoeuvres and a lot going on. It’s going to be good training and we will take it very seriously.” Look out for strange routes on the tracker by the Land’s End point as strong tides turn around this headland and there’s a huge obstacle in the way. Traffic Separation Schemes (TSS) act like salty motorways for commercial shipping, and because they guide hundreds of massive steel ships, they are off limits for competitors. These off-limits TSS zones will appear later in the Volvo Ocean Race route, most notably in the Strait of Gibraltar, around Hong Kong and off the coast of Newport, RI. This American highway upended the leaderboard in the last race after MAPFRE, Team SCA and Dongfeng all entered the zone illegally and were penalised. Now is a good time for the teams to get to grips with these TSS zones to avoid problems later when the points are at stake. As the English coast fades into the horizon behind, streaking across the Celtic Sea will allow the Volvo Ocean 65s to enter more typical ocean conditions until the handbrake turn around Fastnet Rock. We’ll talk about the actual weather closer to the time but here the wind is often from the west and with the route now leading eastwards back to the Cornish coast the wind will be coming from behind the boats – a wind angle that the crews will see a lot of in the coming race around the world. From rocks to tides to TSS’s, one thing is for sure – the navigators will suffer! After back to back stopovers in Lorient in 2011-12 and 2014-15, the Volvo Ocean Race will visit another French city that’s crazy about ocean racing, St Malo. It’s best known for a solo transatlantic race every four years called the Route du Rhum (confirming the theory that sailors are obsessed with the sea, salt and rum). Volvo Ocean Race boats have deep keels and are normally safe offshore in the deep ocean but in 2008-09 Bouwe Bekking skimmed the bottom in Taiwan and dramatically slammed into a submerged rock just off Gothenburg. A former pirate’s paradise, St Malo is also protected by a fearsome set of reefs and needless to say, it could be pretty stressful with freshly painted keels and a circumnavigation just around the corner! 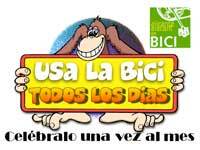 Cyclists count how many ribs are visible on their competitors to see if they are down to weight. Football players look for medical tape on opposing teams that might signal a sign of weakness. Sailors have less to go on, as physical form is only one factor in the pursuit of speed. In sailing, polished teamwork counts for more than the circumference of biceps and strong tides and fickle winds will make it hard to get an accurate measure of potential speed in real offshore conditions. Dee Caffari, Skipper of Turn the Tide on Plastic: "As a form guide I think it would be misleading. We all have different sails for racing. Some have old sails some have race sails and some have a combination of sails. I am still using the Leg 0 race schedule as a trial for my sailing team so it is a test to see if we have the appropriate people." The short legs won’t allow teams to try out their ocean watch systems as most teams will probably chug a Red Bull and push hard in the knowledge that the next port isn’t far away. 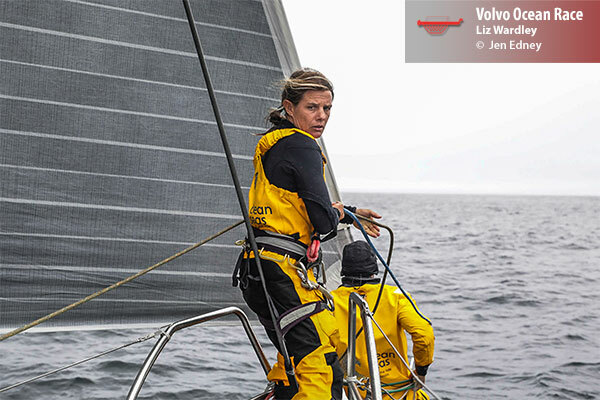 Turn the Tide on Plastic skipper Dee Caffari has named her first crew member of the 2017-18 edition by signing up two-time Volvo Ocean Race veteran Liz Wardley. The Australian, who first competed in the Race in 2001-02 onboard Amer Sports Too, and more recently was part of Team SCA’s 2014-15 campaign, joins the team as Boat Captain. Liz made her name winning numerous titles in the Hobie Cat 16 class, before becoming the first woman to win the Sydney-Hobart Race in 1999, having skippered a boat at the age of just 19 the previous year. Wardley boasts more experience around the One Design Volvo Ocean 65’s than anyone else on the planet having clocked up over 80,000 nautical miles over the last four years. Since the end of the Team SCA campaign, she has been working as part of the Volvo Ocean Race Boatyard team in Lisbon, as the facility completed a comprehensive refit of the whole fleet. “I’m absolutely delighted to join Turn the Tide on Plastic for the next edition of the Volvo Ocean Race," said Wardley. "I’ve made no secret of my desire to compete for a third time and to do so as part of what will be a fully mixed crew is incredibly exciting. The Turn the Tide on Plastic campaign, backed by the Mirpuri Foundation and the Ocean Family Foundation, will amplify the United Nations Environment’s ‘Clean Seas: Turn the Tide on Plastic’ message throughout the Race. Wardley, who was born and raised in Papua New Guinea, is a passionate ocean health campaigner and believes that this campaign can make a real difference to what is a growing issue. “As someone who grew up around the ocean in some of the most remote parts of the planet, I have seen the heartbreaking impact of plastic pollution first hand,” she continued. “We need to do something about it – and I’m extremely proud about being part of this trailblazing campaign, backed by some passionate partners, which I really believe can make an incredible impact on a global scale.” Caffari, who has been trialling potential crew members in Lisbon over the past month as she aims to build a youth-orientated and mixed squad, added that Wardley’s experience makes her a key part of the team. Caffari and Wardley oversaw a trial crew which recently sailed the Turn the Tide on Plastic boat from Lisbon, Portugal to Gosport, UK where the full Volvo Ocean Race fleet is stationed ahead of the beginning of Leg Zero on Wednesday 2 August. Further members of the Turn the Tide on Plastic crew will be announced shortly. The Volvo Ocean Race starts from Alicante on 22 October and will stop at Lisbon, Cape Town, Melbourne, Hong Kong, Guangzhou, Auckland, Itajaí, Newport, Cardiff and Gothenburg before a big finish in The Hague at the end of June 2018. The Volvo Ocean Race has unveiled a 10-strong squad of Onboard Reporters to tell the story of the toughest test of a team in professional sport. Featuring hardened media pros from six nations around the world, the group of Onboard Reporters for the Volvo Ocean Race 2017-18 includes award-winning adventure photographers, extreme sports filmmakers, the documentary-making son of a Volvo Ocean Race legend and a former soldier–turned–journalist who has completed two tours of the Middle East. Dubbed ‘the toughest job in sports media’, the Onboard Reporter is a position that’s unique to sailing’s iconic race around the world. The Volvo Ocean Race is the only professional sporting event to feature dedicated multimedia reporters embedded with the teams, and given unique access to cover every aspect of the event, round the clock, directly from the field of play. Two Onboard Reporters – Brian Carlin (Ireland) and Sam Greenfield (United States) – return to the Race after making their debuts in 2014-15. They are joined by Jen Edney (United States), who was recently named as one of ‘Nine Female Adventure Photographers Who Push the Limits’ by National Geographic; French shooters Martin Keruzoré and Jeremie Lecaudey; Richard Edwards and Konrad Frost, Britons who honed their onboard skills in the Clipper Race; Spanish media man Ugo Fonollá; and BBC journalist Tom Martienssen (Britain), who served as a gunner in the British Royal Air Force, and has reported live from the summit of Mount Everest. Accomplished natural history documentary filmmaker James Blake (New Zealand/Britain), who has worked with the likes of the BBC and Discovery and is the son of Volvo Ocean Race winner Sir Peter Blake, completes the squad, which has already clocked up thousands of offshore miles in preparation for the next edition, beginning 22 October 2017. The Onboard Reporters have gone through an extensive creative ‘boot camp’ in Alicante, proving their ability to withstand the mental and physical pressure of the role before being accepted. When the Race launched its storyteller search in June 2016, almost 10,000 candidates from 126 countries flooded the campaign website to discover how to join the next batch of elite reporters. 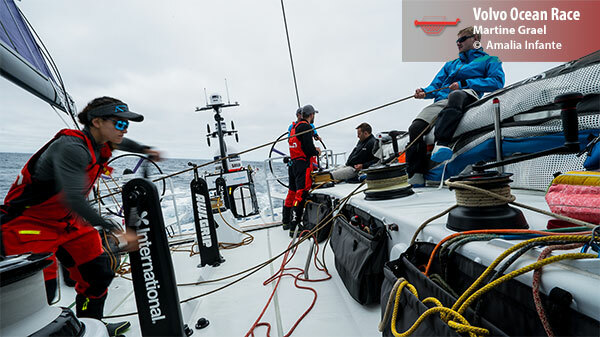 The event, which pits the best professional sailors against each other over 45,000 nautical miles, covering four oceans, five continents and nine marathon months, requires multi-skilled and experienced media professionals to join the crews onboard and report back to shore from the most remote and hostile regions on the planet. To push content from the world’s oceans to race fans takes some serious technology. Every boat is fitted with state-of-the-art equipment, remote-control cameras, microphones and custom-designed media stations. The Inmarsat satellite network coupled with communications hardware from Cobham powers the delivery of multimedia content from each of the super-charged 65-foot racing boats while at sea. With the next edition drawing closer, the whole fleet is en route to Gosport, UK, where they will make preparations for the Leg Zero qualifying races. James has carved out an impressive reputation in nature and documentary world for his shooting ability – and has worked for the likes of the BBC and Discovery as a filmmaker before deciding to follow in his father, Volvo Ocean Race legend Sir Peter Blake’s, footsteps and jump onto a Volvo Ocean Race boat himself. He’s also a natural born adventurer who completed a transtasman row in 2012 as part of a four-man team, and is planning new exploits after the race’s completion, including a new angle on a transatlantic record. Having made his name as the Onboard Reporter for Team Vestas Wind in 2014-15, Brian returns to the race as OBR Team Leader, and will be keen to make it the whole way around the world after a challenging Volvo Ocean Race debut which saw his team ground on an atoll in the middle of the Indian Ocean just days into Leg 3. Jen is one of the most renowned water adventure photographers in the business, and regularly appears in international publications like National Geographic magazine, which recently named her as one of ‘Nine Female Photographers Who Push The Limits’. Despite coming from the landlocked US state of Nebraska, Jen has clocked up over 50,000 offshore miles in preparation for the ultimate sailing media job. Richard grew up with a natural affinity for the ocean and water sports – and in 2015, he made his passion a profession, by joining the Clipper Race as a cameraman and producer. It was this round-the-world experience that inspired him to push for the ultimate media job – a Volvo Ocean Race Onboard Reporter role. The youngest member of the 2017-18 Onboard Reporter squad, Ugo grew up around sailing on Mallorca, close to the Palma sailing scene. Having studied engineering, Ugo then switched his focus to fulfilling his life’s dream – to become an OBR in the Volvo Ocean Race. Six years later, and armed with a camera and some wet weather gear, his wish has come true. Having honed his onboard shooting and eye for detail in the Clipper Race, Konrad’s step into the Volvo Ocean Race world is a natural progression – and he admits that he has dreamed of stepping onboard in the Volvo Ocean Race since he was a little kid. When he’s not at sea, he is a respected cameraman in the adventure sports industry, and he knows the Race inside out having worked as crew on recent Volvo Ocean Race TV series, as well as the likes of CNN Mainsail. Sam is one of only two Onboard Reporters from the 2014-15 edition to return to the racetrack, having worked with Dongfeng Race Team last time. He caught attention by becoming the first OBR to successfully fly a drone from a moving Volvo Ocean 65, revolutionising the use of drones across the sailing industry in the process. Since the end of the 2014-15 race, Sam has been based in Bermuda as part of the Team ORACLE USA media crew. Martin grew up around the ocean and the world of sailing photography and has almost a decade’s experience as a director, photographer, cameraman and editor. Starting out early, Martin has logged thousands of miles in French races and has been involved in projects including L’Hydroptere’s first speed test. Jeremie joins the Race with is new to sailing, but arrives with a fresh perspective – and bags of extreme sports experience under his belt. He is renowned as a top talent in the snowboarding industry, but has taken to dampening his sea boots onboard a French Mini Open 650 within the last couple of years.